The ANC has a reserve list of candidates that it intends to use if any members currently on its parliamentary and legislature lists are asked to step aside by the party's integrity committee. ANC head of elections Fikile Mbalula revealed this on Monday during a media briefing to outline the ANC's final round of electioneering. Mbalula insisted that those asked to step aside by the committee will be forced to do so. 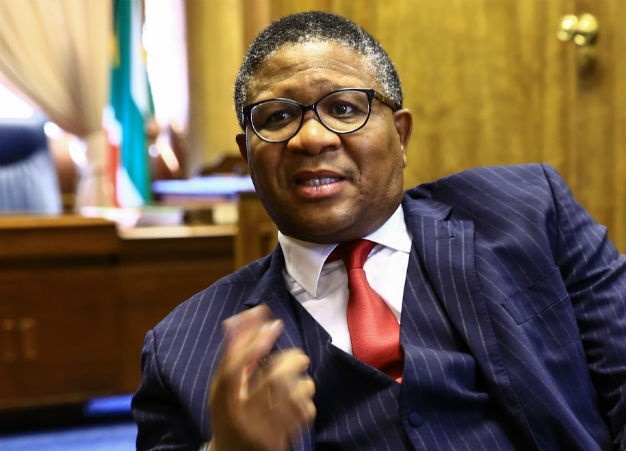 Mbalula's utterances run counter to the Electoral Commission of South Africa's (IEC) assertion that lists may not be amended or candidates substituted unless a candidate is on more than one party list. "A withdrawal of a candidate is not permitted," IEC spokesperson Kate Bapela earlier told News24. She added that the cut-off date for substitutions had passed on March 28. Mbalula said although names cannot be added to the lists, changes can still be made. "They can amend their lists; the lists [are] not cast in stone. The ANC has got more than 200 people, more than a surplus." The ANC has been heavily criticised over its candidate lists, even within its own ranks, and party stalwarts have called upon those implicated in corruption and other forms of wrongdoing to step aside. The controversial candidates on the lists include Malusi Gigaba (former minister of home affairs), Nomvula Mokonyane (environmental affairs minister) and Mosebenzi Zwane (former minister of mineral resources), who have been implicated in state capture linked to the Gupta family or prison services firm Bosasa (now African Global Operations). Questions have also been raised over the integrity committee's own powers to take decisions should it determine candidates must step aside. "If the ANC says step aside, it's not negotiable. You will have to step aside and that will apply to any other individual on the list of the African National Congress. What we will not do is to shy away from issues that are raised that have got implications for the integrity of the ANC. What we will not do, we will not victimise you," said Mbalula. The move to assess the lists follows a national executive committee (NEC) decision to send its list of candidates to the integrity committee for review. The committee, which comprises members elected from the party's elders, investigates party members who bring the ANC into disrepute. Earlier, ANC acting national spokesperson Dakota Legoete told News24 that people who are being investigated by Chapter 9 institutions were also on the chopping block. Mbalula further admitted that corruption claims against the party were negatively impacting its election campaign. He said there was a perception that the ANC did not act on corruption, adding that it was viewed as "wishy washy". He said people appreciated and trusted the ANC, "however we ourselves know that there is still a lot that needs to be done and many things could have been avoided but we are keen to renew ourselves and change things going forward".